I always buy Beautyrest pillows in firm to very firm. These are great pillows. They hold their firmness for a very long time. Use them for king size pillow shams to give a very nice full tight look. 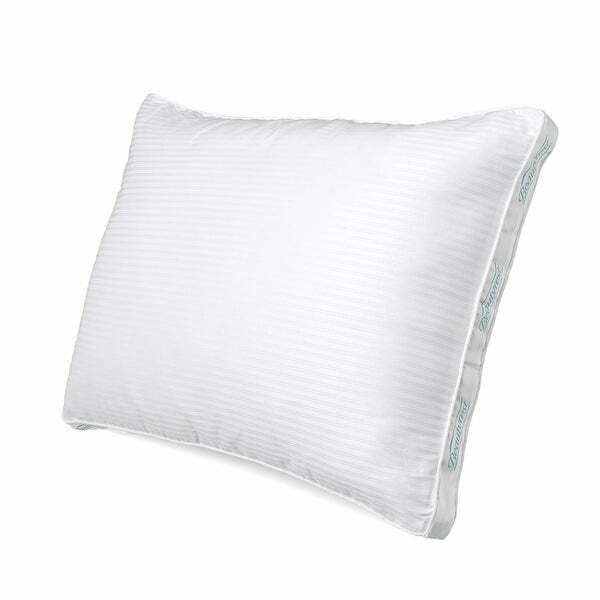 This twin pack of firm support pillows is made for back sleepers, with a 2-inch gusset to provide resilient support that won't fall flat, offering the optimal angle for you head and neck. The 400-thread count Pima cotton cover is luxuriously soft and filled with the hypoallergic, premium down alternative polyester fill, NaturesLoft. For ease of cleaning, it is machine washer and dryer safe. The Beautyrest pillow is nice and firm as it states. It is very comfortable for me because I sleep on my side and back only so my head is supported correctly. The pillows are finely made and should last. I also bought pillow case zippered covers to go underneath the pillow case. It makes the pillow last longer. Perfect density for pillow shams. They are firm pillows and haven’t gone soft. Very easy to get in and out of pillow cases because of the fabric. Queen size is perfect for queen sheet set. Will buy more when needed. I personally sleep on nothing but Beautyrest pillows. I have cervical spine(neck) problems, and these provide me the best night's sleep. Boy! These pillows are not firm...they are hard ! I am a side sleeper and am used to two pillows,but these gave me a headache and a backache the first night(second and third) . I most certainly do not recommend this pair! Started out firm but after sleeping on the pillows a few days the firmness has dissipated. Would not recommend.